A collaboration between interior architecture and music students at Samford University will result in a unique learning opportunity and special interactive audience experience. 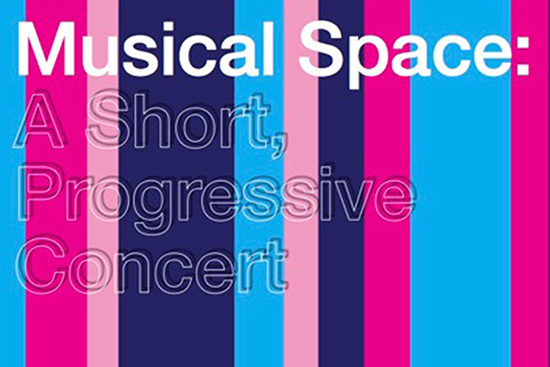 During the 30-minute presentation beginning at 4:30 p.m. on Wednesday, March 11, the musicians will play in one of three “performance pavilions” designed by the interior architecture students. “The design of the pavilions has been inspired by the pieces to be performed in them, and by the personalities of the performing ensembles,” explains interior architecture professor Preston Hite, whose 15-member sophomore design fundamentals class planned and executed the spaces. A similar number of instrumentalists in music professor Brian Viliunas’ woodwind seminar class will perform. Interior architecture major Kathryn Riehle and her project partners tackled their assignment by first listening to a recording of the three pieces that a clarinet ensemble will play in the east lobby of Beeson University Center. “The performance has a mysterious element to it, with a rain like-sound, so we chose to make our setting rustic, a bit raw,” Riehle said, adding that the design may incorporate umbrellas. On Tuesday afternoon, she and power drill wielding classmate Emily Hardin, assisted by Hite, were busy installing the framework for their set. A flute ensemble, on the other hand, Riehle said, plans a performance with a lighter musical feel, which calls for a “more whimsical” design. A mixed instrument ensemble will also perform. The progressive concert will begin in front of the Samford Bookstore, move to the east lobby of the University Center and end in front of Einstein Brothers Bagels in the Library. Concert-goers are invited to follow along together place-to-place or drop in on one segment, said Hite. The co-sponsoring music and interior architecture programs are part of Samford’s School of the Arts.